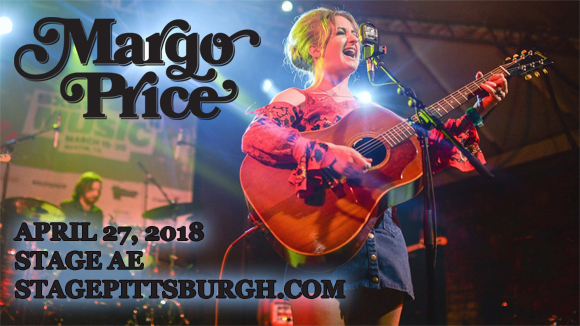 "All American Made" rising country star Margo Price comes to Stage AE on Friday 27th April 2018 as part of her Nowhere Fast Tour! The celebrated performer has caught the eyes and ears of critics over the last few years and is fast becoming one of Nashville's most talked about artists, due to her stunning voice and flair for songwriting – Price is clearly one to watch! American country singer-songwriter Margo Price moved to Nashville, Tennessee aged 20, in 2003, to pursue a music career. A member of various bands including Secret Handshake (with her husband, guitarist Jeremy Ivey), Buffalo Clover and Margo and the Pricetags, a supergroup of sorts that has featured Sturgill Simpson and Kenny Vaughan in the line-up at various times. Described by Rolling Stone Country as "a fixture of the East Nashville music community," Price released her debut solo album, Midwest Farmer's Daughter, in 2016, followed by All American Made a year later, with both albums receiving critical acclaim.